It’s a rare Tuesday post from me today—squeezed in so that I can get these guides to you in time for Black Friday shopping (although, let’s be honest, does anyone really shop on Black Friday anymore?). In case you missed yesterday’s post, this week I’m sharing three gift guides, all inspired by our family’s personal Christmas Wish Lists. Today’s guide was the hardest of the three to compile—probably because men (at least in my experience) are so dang tough to shop for! Luke isn’t into sports or alcohol or a lot of other typical “guy things” that often show up on gift guides; he’s more into technology and tools and guns—things I have no clue about and that he’d rather buy for himself anyway. Luke did compile his own Wish List this year, and nearly all of the items from that list have made it into today’s guide. 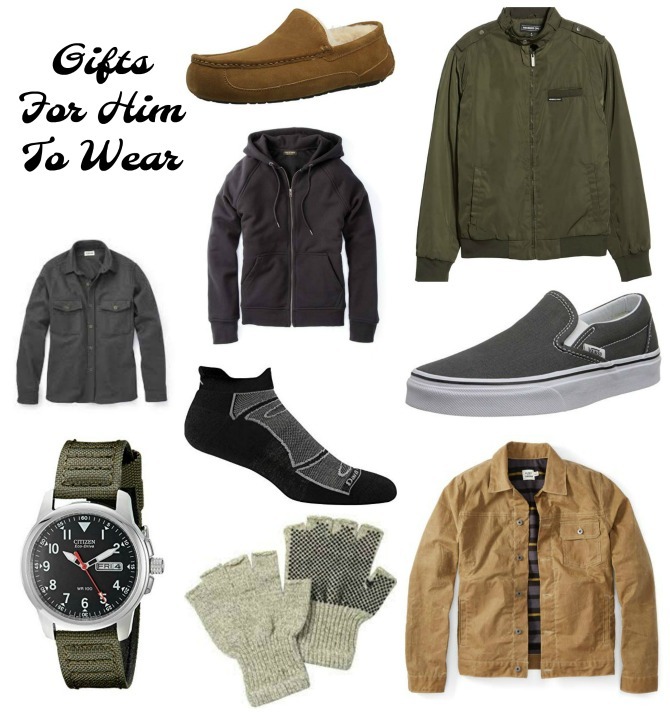 Unfortunately (for the sake of this post and also for me as I attempt to find just the right gifts for him), his list was fairly short—much shorter than Charleston’s or mine. 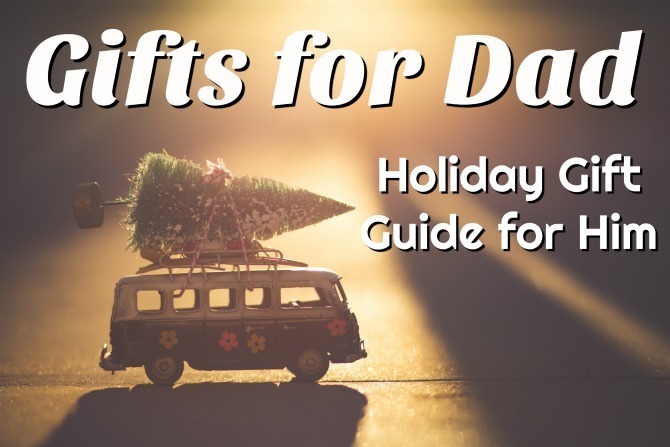 In order to round out this guide, I’ve included quite a few items that Luke already owns and loves and that he recommends as gifts for the men on your shopping list. Luke doesn’t have a lot of “want” items on his Christmas list this year; most of the things he’s wishing for are of a more practical nature. Thankfully for our purposes with this guide, he already owns several items he truly loves that he encouraged me to share with you here. 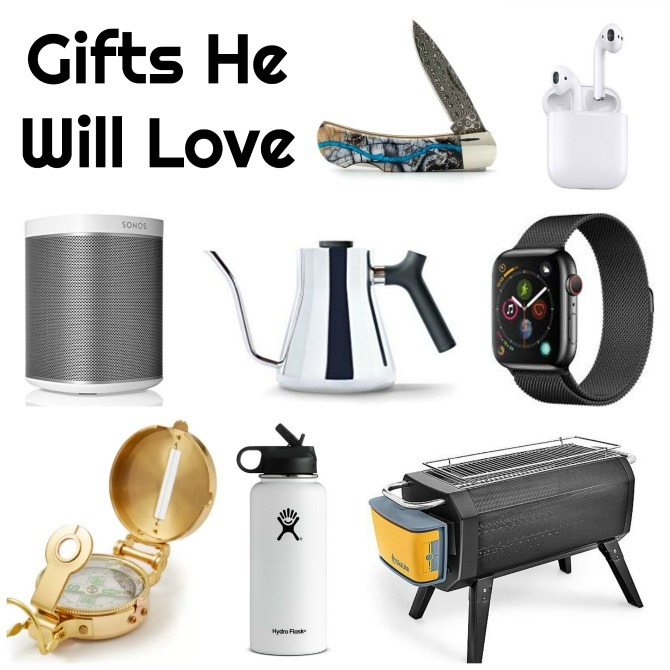 There are also a couple of items he’s eyeing (most notably that amazing knife and the classy compass, both from his favorite online shopping spot). White Mammoth + Turquoise Tusk Knife ~ This knife is the hands-down winner of this guide when it comes to the cool factor. The handle is actually made from fossilized mammoth tusk, and the turquoise inlay is just gorgeous. Nearly every guy I know has a collection of prized pocket knives, and I can imagine every one of them would be smitten with this gift. Apple AirPods ~ To be honest, I don’t totally get the hype around this item and am perfectly happy with my cheapskate earpiece. But Luke’s parents gifted him these headphones last year, and he assures me they are worth the high price point. I’ve tried them and will admit they are quite comfortable and have great sound quality. Sonos Wireless Speaker ~ Our whole family loves this speaker. Great sound, especially for its small footprint. It has Alexa compatibility, and it streams music from any music service (we use Google Play). We love creating Sonos playlists for various moods and times of day. Pour Over Stagg Kettle ~ Luke takes his coffee very seriously, and this kettle plays a huge role in his daily pour-over routine. It has a sleek design and spill-free spout, and the built in thermometer guarantees his water is heated to his precise specifications. Apple Watch ~ I bought Luke an earlier version of the Apple watch for Father’s Day, and he is obsessed. He’d wanted one for a while and finds he loves it even more than either of us thought he would. There a number of cases and bands to choose from; aesthetically speaking, these smart watches have sure come a long way. Heritage Lensatic Compass ~ This vintage-inspired compass is so classy, and it’s only $20. A great stocking stuffer for the guy who has everything. Smokeless Portable Fire Pit With Grill ~ This awesome, solar-charged grill offers all the benefits of a fire pit, without the smoke. This would be great for camping, or even just the backyard. Be sure to include the solar cover, which is sold separately. Luke loves his practical items. If it’s a tool or an emergency item or tech-related, he’ll probably be on board. (Although he has high standards and likes to do his research, so I generally rely on him to pick out the specific items he knows he will want.) Luke often buys these types of items for himself, but many have made it to his Christmas list this year. ITS Canvas Zip Bag ~ Luke owns these ITS bags in just about every color and size (and he likes the nylon varieties as well). He uses them to store tech items for his work bag, toiletries when we travel, and First Aid items in his car. They are so convenient, and their small size makes them great stocking stuffers. Wireless Keyboard with Trackpad ~ This isn’t a super high-end keyboard, but for the price, it’s a great backup for the techie guy with multiple computers and screens. The built in track pad is a nice bonus feature. Swanson Square Layout Tool ~ This is the kind of gift that might puzzle the recipient at first, but will eventually win him over with its usefulness. I’m not handy myself, but I can imagine many uses for a tool like this. Leatherman Raptor Sheers with Utility Holster ~ Every home needs a good set of utility sheers, and these look pretty darn amazing. I especially like the convenient holster. Luke is known for putting a lot of research into his tool recommendations, so I trust his opinion with this one. YETI Hopper Flip Portable Cooler ~ This cooler is the perfect size for keeping food and drinks cold on long road trips. It’s pricey, but YETI coolers are known for being well worth the money. Luke’s brother, who is a pilot, carries this with him on his plane, and he has nothing but great things to say about it. Aqua-Tainer 7-Gallon Water Container ~ I literally laughed out loud when I saw this on Luke’s Christmas list, because who asks for a water container for Christmas? Well, apparently my Eagle Scout, Emergency-Preparedness-loving husband does. Unless it’s been specifically requested by the man you’re buying for, I don’t know that I’d recommend this as a gift, BUT it would make for an awesome White Elephant gift that will actually get used. Survival Traveller First Aid Kit ~ Another example of Luke’s Eagle Scout background, but this is a gift item I can totally stand behind. This kit has just about everything you could need, is water resistant, and folds up into a compact little case. Luke wants one for each of our cars. YETI Tundra 45 Cooler ~ This cooler is a must for serious campers. We borrowed our friends’ YETI when we went tent camping last year, and it was plenty big enough to store all of our food for three days. Clothing gifts are tough, especially for men. Style preferences differ, and it can be hard to find the right fit. The items listed below hold universal appeal (I can imagine almost any guy wearing them,) and except for one item that is on this year’s wish list, Luke owns and regularly wears every item, and would recommend each piece to other guys. UGG Men’s Ascott Slippers ~ When I bought Luke a similar pair of slippers a few years ago, I wasn’t sure he would like them. But he was quick to warm up to the wonders of the cozy slipper, and when he was working from home, these were his daily footwear of choice. They’re so luxurious, I’d be tempted to steal them for myself if they fit. Iconic Racer Jacket ~ A jacket almost identical to this one was Luke’s = “wear” gift last year. It’s a great lightweight option and looks great on him. Vans Slip-ons ~ Luke is on his second pair of these exact shoes. They are surprisingly versatile and he hasn’t found another pair that’s as comfortable. Taylor Stitch Explorer’s Wool Shirt ~ Luke loves his wool, and we both love this cozy-but-classy wool shirt. It’s perfect for layering and nice enough for Luke to wear to work. 10-Year Hoodie ~ Luke has owned this jacket for a few years and wears it ALL the time. It’s fitted and double-lined, taking it a step above your typical sweatshirt. Citizen Eco-Drive Watch ~ Before he got his Apple Watch, this was Luke’s everyday watch. It’s fairly sporty but still nice enough to wear with business attire. He especially liked the date display and luminous hands. Darn Tough Merino Wool Athletic Socks ~ People joke about giving socks as gifts, but if they’re socks as nice as these ones, I say why not?! Luke has tried at least a dozen brands of socks and keeps coming back to these for their comfort and durability. Wool socks are obviously great in cold weather, but they also work surprisingly well in the Texas heat because they wick away moisture. Fox River Fingerless Gripping Gloves ~ Luke runs hot, but his hand are always cold. These fingerless gloves are perfect for him to wear in the office, keeping his hands warm while also allowing him to type. Flint and Tinder Waxed Trucker Jacket ~ This is the one clothing item on Luke’s Christmas list this year, and it looks to be a good one! It has an iconic style, fleece lining, and plenty of pockets. 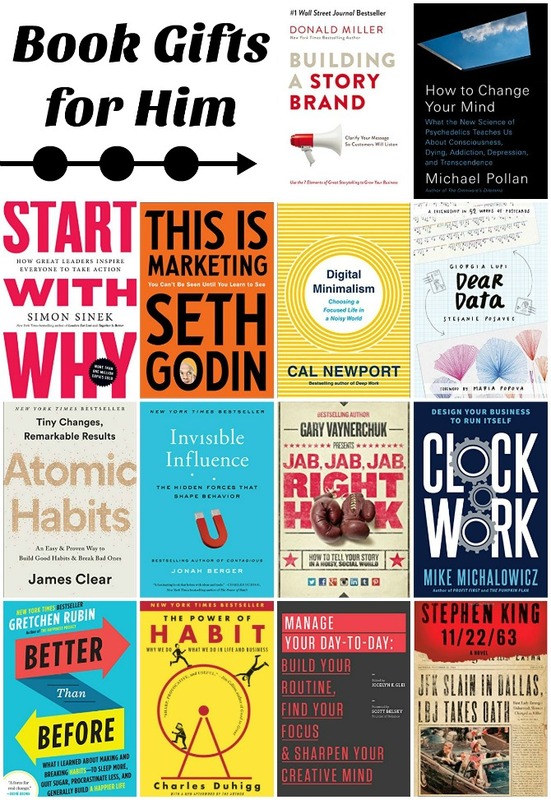 Luke’s been doing a lot of reading through Audible lately, and his selections have been almost exclusively productivity and business books. This list contains a healthy mix of books he has enjoyed this year, and books that are still on his TBR. If the guys on your shopping list enjoy reading about business and habits, these book will be right up their alley—and if not, but you’d still like to gift a book this year, leave a comment or message me and I’ll be happy to provide some more appropriate gift ideas! Building a Story Brand: Clarify Your Message So Customers Will Listen ~ Luke read this book twice this year and says he wants to read it a third time. The book currently has a 4.8 Star rating on Amazon, so it’s clearly popular. I think I may need to read this myself. How to Change Your Mind: What the New Science of Psychedelics Teaches Us About Consciousness, Dying, Addiction, Depression, and Transcendence ~ I was FASCINATED by this book and it has already sparked some interesting discussions with Luke. I’m dying for him to read the whole book to see what he thinks. Start with Why: How Great Leaders Inspire Everyone to Take Action ~ Luke had some great takeaways from both this book and its follow-up, Find Your Why. This is Marketing ~ Luke and I are both big Seth Godin fans (his is one of the only blogs Luke reads). This is Godin’s latest, released just last week. Digital Minimalism ~ I’m adding this to both Luke’s AND my TBR lists because we both gleaned so much from Newport’s popular book, Deep Work. Unfortunately the book doesn’t come out until next February, but you can preorder the book now and print out the receipt so that there’s a “book” under the tree! Dear Data ~ I heard about this book on the Young House Love podcast and the description immediately made me think of Luke (who, Enneagram 5 that he is, collects data like it’s his job). I’m sure I’d enjoy this one as well. Atomic Habits ~ James Clear is another thought leader/business guru Luke follows religiously. This book made a big impact on Luke. Invisible Influence: The Hidden Forces That Shape Behavior ~ Luke added this to his list after loving Contagious, also by Jonah Burger. 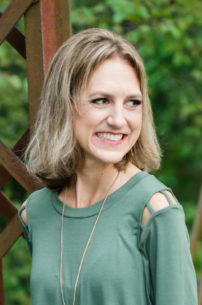 Jab, Jab, Jab, Right Hook: How to Tell Your Story in a Noisy Social World ~ This is a business book even I am familiar with; I’m a little surprised Luke hasn’t read it yet. Seems like a great companion to the Donald Miller book. Clockwork: Design Your Business to Run Itself ~ Luke has loved all of Mike Michalowicz’s book sincluding this, his most recent. Better Than Before: What I Learned About Making and Breaking Habits–to Sleep More, Quit Sugar, Procrastinate Less, and Generally Build a Happier Life ~ After seeing how many habit-related books Luke has on his Loved and TBR lists, I couldn’t help but throw in this, my own favorite habit-related book. The Power of Habit: Why We Do What We Do in Life and Business ~ This is another great book about habits I know Luke and other self improvement enthusiasts would appreciate. Manage Your Day-to-Day: Build Your Routine, Find Your Focus, and Sharpen Your Creative Mind ~ This is yet another productivity-themed book from my personal favorites list. I really liked that this book includes advice from several different voices in the self-improvement world (many of whose books are included in this guide!). 11/22/63 ~ This guide wouldn’t be complete without at least one novel. This is one of my all-time favorite books, and I’m so eager for Luke to read it so we can discuss! If you or the man you’re shopping for hasn’t read this book, please solve that problem NOW! 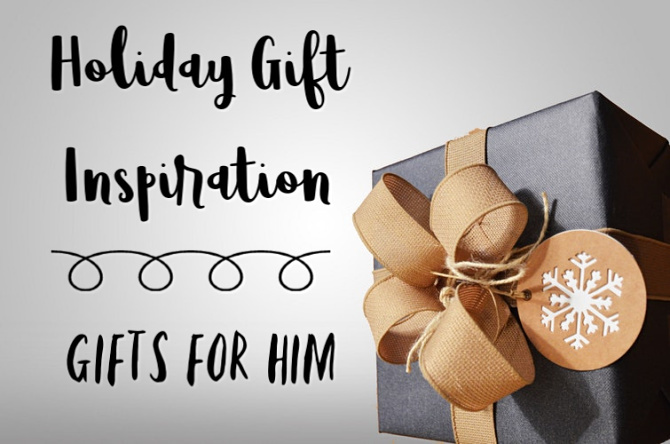 I hope these gift ideas offer the inspiration you need when shopping for the men in your life. 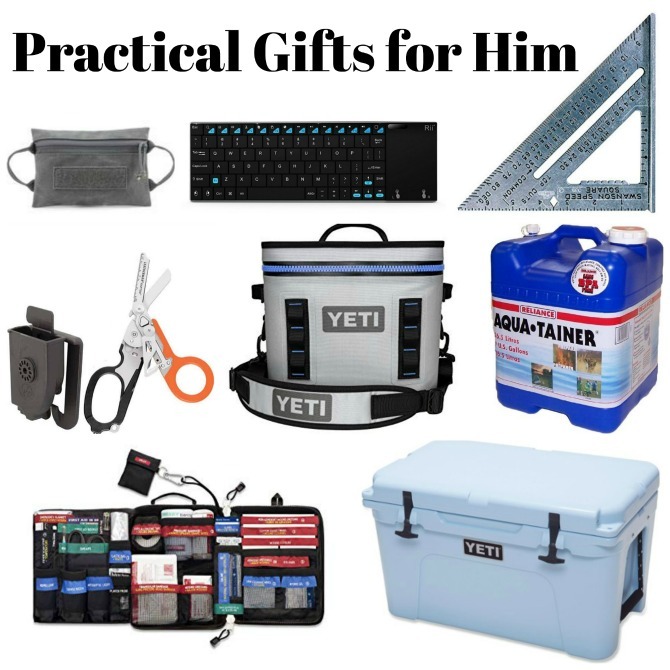 If you’d like some more guy-friendly gift ideas, check out this post based on Luke’s 2017 Christmas Wish List. I have one more gift guide headed your way tomorrow. Prepare yourself for a whole lot of kid-friendly gift ideas. See you then!